Mo is truly a powerhouse in the industry of fitness and female leadership. In this episode she shares the many moments and magic that have happened throughout her career. After three decades in the industry Mo reveals what it is that keeps her going day in and day out. She shares that it is her sense of purpose that keeps her inspired through the good and also through the not so good moments. We talk about the importance of finding our why behind our work and that the why does not need to come with a big W. Mo’s why is to positively impact people through her work. Mo talked about being recently diagnosed with arthritis in her hips. She understood that this was the time to figure out how to take care of herself as she had been telling others to do. This was her wake up call – the nudge that reminded her that she had been so busy she had ignored the signs to slow down. Mo recognized her need to “do” versus “be” and how many moments she had missed fully experiencing due to running so fast. We discuss the event she founded and created called “Women Who Influence.” This inspirational gathering of women leaders recently celebrated its 4th year. Mo had seen a lack of female leadership in the fitness industry and decided to do something about it. Say it “can’t be done” and Mo will explore ways to make it happen. Premiering with 50 participants at her first event in Canada, Women Who Influence now sells out at 250 participants, and is expanding outside of Canada to Australia and recently China. Mo shares the idea of learn as you are earn and I love that concept – don’t wait to know it all before starting or you will never begin. Mo encourages us to begin before you think you are ready and surround yourself with the people who inspire you. Act “as if.” Mo says that it is in the personal development that will enable us to follow our why and not be thrown by our negative critics. Mo shared what happened when she spoke to industries outside of the fitness industry. It was when she was speaking to corporations she realized that many of them could not get travel insurance for the trips of their dreams. She once again saw a need to help those we do not see in a gym or who are not already working out. It was their health or fear of their declining health that was the greatest risk to their dreams. 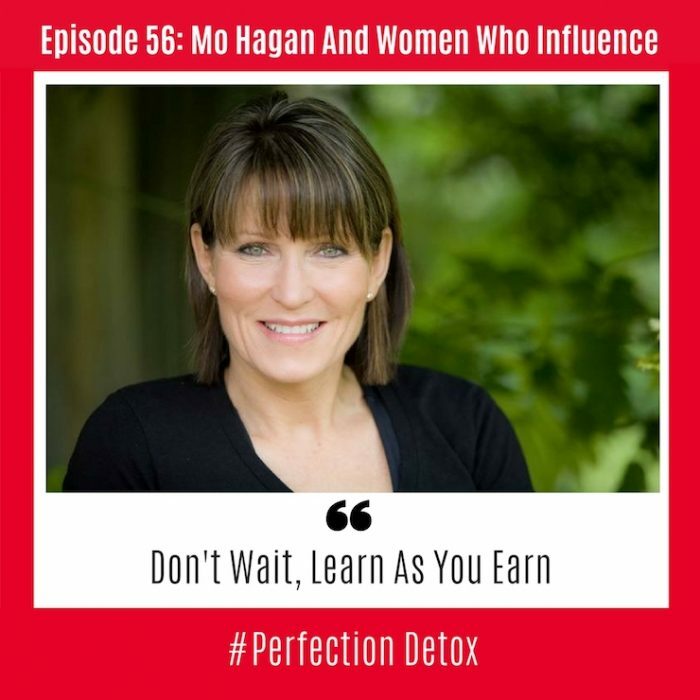 Mo talks about her recent book that she co-authored called, “Think Yourself Successful.” In this book she shares her work around personal development and how we can manage our state, so we can be at our best to enable us to live a life of our dreams. We also talk about the importance of really believing in the why behind why you are wanting to write a book, if that it on your bucket list. She also suggests that a great place to start is to seek out other authors who are looking to co-author a book and find other authors that you can talk to and find out the behind the scenes of writing. Mo shares how Canadian Fitness Professionals got started over a five minute conversation and now is about to celebrate its 25th Anniversary. A global ambassador on the benefits of exercise and living well, Maureen Hagan is vice president of program innovation for GoodLife Fitness and Canfitpro. Mo, as she is known in the fitness industry is a licensed physiotherapist, a Physical Health Educator and has been recognized for her work in fitness that spans three decades; named as one of Canada’s 20 Most Influential Women in Sport and Physical Activity (2014) and International Health Racquets & Sports Association’s (IHRSA) “Woman Leader of the Year” (2016) with previous awards in the fitness industry that include the 1998 IDEA Program Director and 2006 IDEA Fitness Instructor of the Year, and most recently named to “The Optimyz 100 Health Influencers” in Canada (2017). Mo is a #1 best-selling author and a regular contributor to consumer magazines and on-line publications including the Huffington Post.